Having painted for many years, I have now turned to etching as my main creative outlet. My imagery is inspired by the concertina sketchbooks I have produced over the past year. I have always liked the medium and activity of printing in any form, something that goes back to my days as a textile designer. I am also attracted to the idea of producing multiples to which I can add colour in form of Chine-collé and watercolour. I was born in the Scottish Borders and first came to London to do my Foundation at Hornsey College of Art. I went on to Middlesex Polytechnic and then to the Royal College Art, where I continued to study textiles. On leaving the RCA, I freelanced in textile design until I made the switch to painting in the early 1980s. 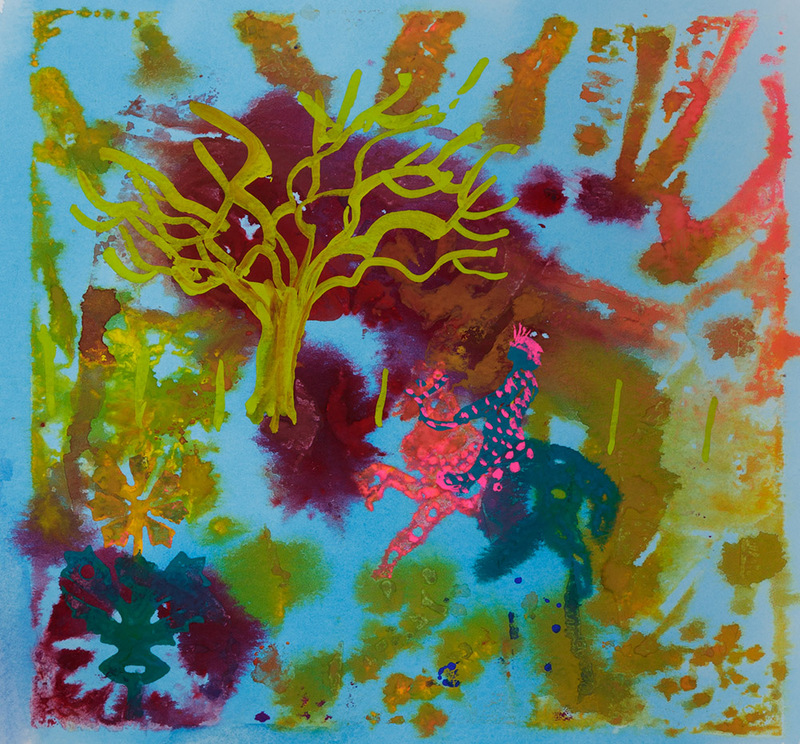 I have exhibited on a regular basis and have taught at a number of art schools, including Middlesex University. 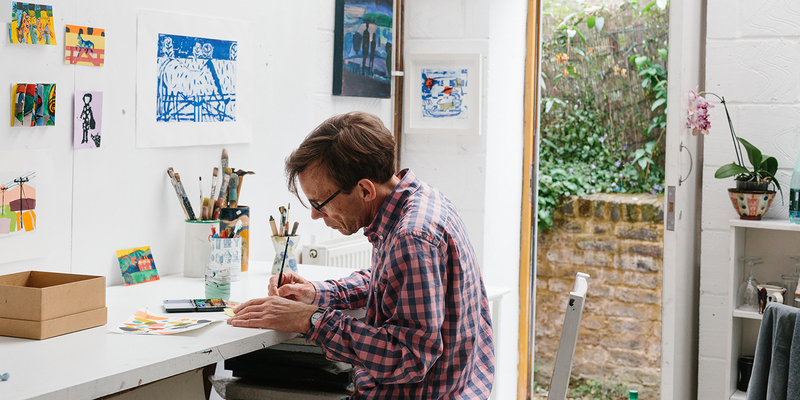 Currently, I work from my studio in Stoke Newington; I also continue to teach part-time. 2007 Sutton House, Hackney, London E9. 1996 Heifer Gallery, Islington, London. 1991 Tall House Gallery, Southwark, London. 1986-9 Mainhill Gallery, Jedburgh, Scotland. 2017 Suraya Arts Spring Exhibition. Art in the Round, Ice House Gallery, Holland Park. 2016 Suraya Arts Spring Exhibition. National Open Print Exhibition, Bankside Gallery. 2014 Friends of Dulwich Picture Gallery Open Exhibition, London. 2012 Royal Watercolour Society, Bankside Gallery, London. 2011 Royal Institute of Painters in Watercolour, Mall Galleries, London. 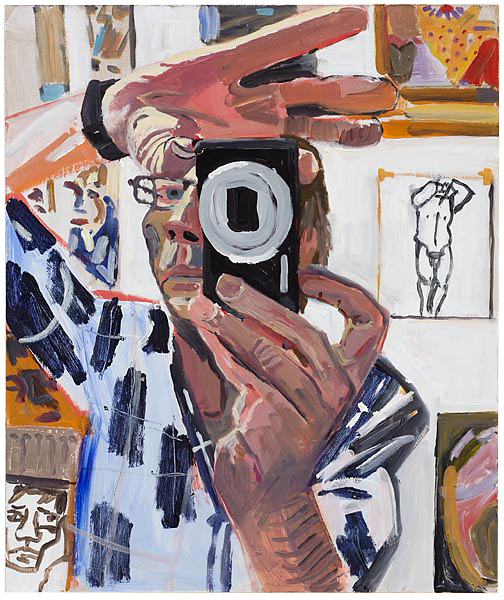 Ruth Borchard Self-Portrait Competition, King’s Place Gallery, London. 2009 Discerning Eye, Mall Galleries, London. 2005-6 Battersea Art Fair, London. 2005 Images in the City, Geffrye Museum, London. 2003 National Print Exhibition, Mall Galleries, London. 1996-8 Artists in Print, Atrium Gallery, London. 1985 Thirty Young Artists, Royal Overseas League, London. 1984 Royal Academy Summer Show, London. Horse and rider Watercolour and gouache, 20x20cm. Selected for Discerning Eye 2010. 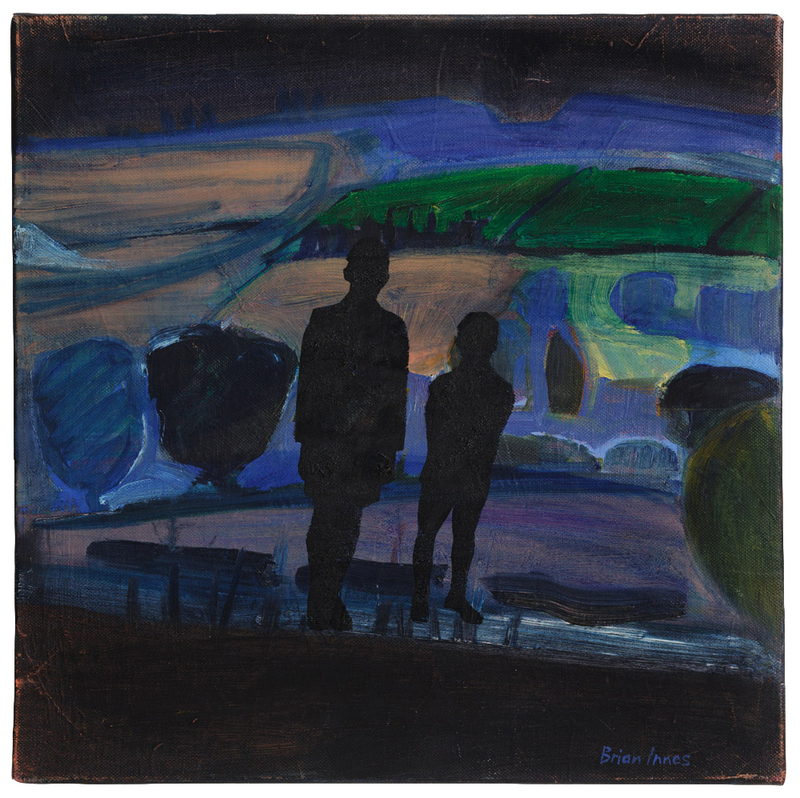 Silhouettes in a landscape Oil on canvas, 39.5×39.5cm. Selected for Discerning Eye 2009. Self-Portrait Acrylic on canvas, 57×48 cm. Selected for the Ruth Borchard Self-Portrait Competiton 2011.